Come join us for the last Yappy Hour of the year! 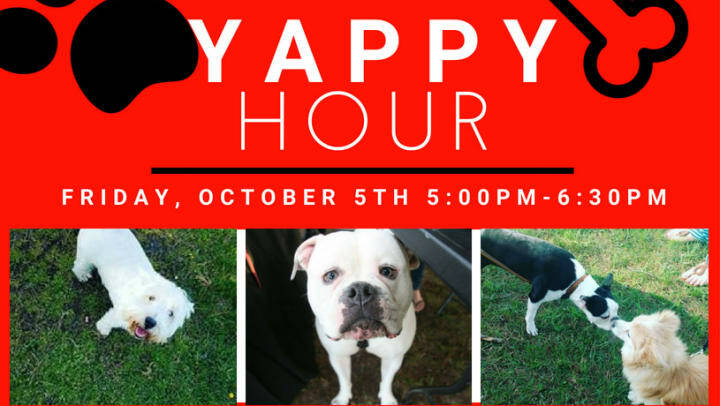 Friday, October 5th for Yappy Hour at Rovers Run Dog Park 5-6:30 p.m.
Light Refreshments, music and fun for everyone! Please make sure all pup play well with others.